It has also estimated that the fiscal deficit — the difference between the government’s expenditure and revenues — may swell to Rs 98,725 crore by the year-end at current rates. In a fresh warning that Maharashtra’s fiscal outlook is worsening, latest official data released by the accountant general has projected the state’s revenue deficit for the fiscal ending March 2018 to cross the Rs 60,000-crore mark at the current rate. Even as state’s fiscal managers said several steps had been initiated to contain the deficit to manageable levels by the year-end, most of them admitted Maharashtra was staring at its worst ever deficit in absolute terms. At the start of the financial year, the government had budgeted to contain the revenue deficit for 2017-18 to Rs 4,511 crore, and the fiscal deficit to Rs 35,031 crore. But it hadn’t factored in the impact of the farm loan waiver scheme, which was announced in the month of June and is expected to cost the state exchequer Rs 25,000 crore. While the norms of the Centre’s Fourteenth Finance Commission require states to maintain a revenue surplus position, Maharashtra has consistently missed the target since 2013-14. However, while admitting that the state will miss the budget targets set at the start of the year, senior officials remained confident that the actual fiscal deficit by the year-end would still be under 3 per cent of the Gross State Domestic Product, leaving the state fiscal space to borrow and raise resources. “We are using the fiscal space available to us and the state’s debt though high is well within the fiscal parameters set out by the central government,” Chief Minister Devendra Fadnavis had told The Indian Express during an interaction last month. But just as the state has decided to take recourse to special project vehicles (SPVs) and off-budget borrowings for infrastructure projects to get around rising public debt, the fiscal managers admitted that the ever-ballooning revenue expenditure remained the state’s biggest worry. In the backdrop of the farm loan waiver, the state’s revenue expenditure for the current fiscal is projected to grow by over 22 per cent of the initial target of Rs 2.48 lakh crore. According to the provisional figures of the state’s accounts at the end of December 2017, which were released last week by the office of the accountant general, the revenue expenditure for 2017-18 is now anticipated at Rs 3.04 lakh crore. Of this, the government has already spent Rs 1.54 lakh crore between April 2017 and December 2017, the data reveals. Revenue expenditure refers to expenditure on salaries, loan payments, pensions, and other recurring expenditure. It does not include expenditure on development and new asset generation works. The capital expenditure, on the other hand, is estimated to rise at a slower tick — from the originally estimated Rs 33,809 crore to Rs 38,142 crore now, which accounts for a less than 13 per cent rise. Also, according to the data, the government’s actual capital spend so far has been Rs 12,953 crore, or just under 34 per cent of the estimated expenditure. The data further shows that till end of December, the government had spent another Rs 19,230 crore in servicing of the debt. Officials said the debt servicing bill was expected to further rise to Rs 31,027 crore by March-end. The silver lining for the Fadnavis government has been the buoyancy in tax collections, even in the post-GST regime. Maharashtra, which has topped GST collections in India, is on course to meet its targetted revenue from tax collections. Out of the targetted Rs 1.91 lakh crore, it had already netted Rs 1.41 crore by December, the data revealed. The officials confirmed that collections from value added tax on petroleum products, a non-GST subsumed item, were running 22 per cent above target, following the hike in global crude oil prices. Government’s data shows it had already mopped up Rs 92, 514 crore in sales tax and GST till January, 2018, as against a target of Rs 1.06 lakh crore. While revenues from taxes on property transactions (stamps and registrations) had yielded Rs 18,432 crore till December, 2017, as against the targetted Rs 21,000 crore, the state excise has mopped up another Rs 10,400 crore (till January end) in duties. But the government’s plan to mobilise additional revenue through monetisation and premiums on land development has not worked so far. While it had estimated to collect Rs 3,200 crore in land revenues at the start of the year, data reveals that it had barely amassed Rs 921 crore till December-end. While the government was expected to raise an additional Rs 60,000 crore in borrowings, collections from non-tax revenue sources had been just 48 per cent of the budgeted target. 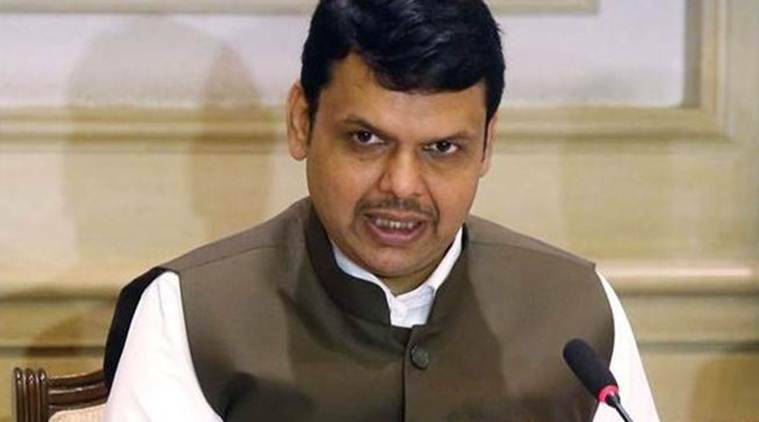 While Fadnavis has told The Indian Express that his government’s plans for 2018-19 would be to enhance allocations for capital investments in farm-intensive sectors, roads, and irrigation, the fiscal managers admitted that the state’s revenue expenditure would rise further in the coming year, with its kitty burdened by at least another Rs 23,000 crore in salary hikes, with the state expected to implement the Seventh Pay Commission recommendations in the coming year.